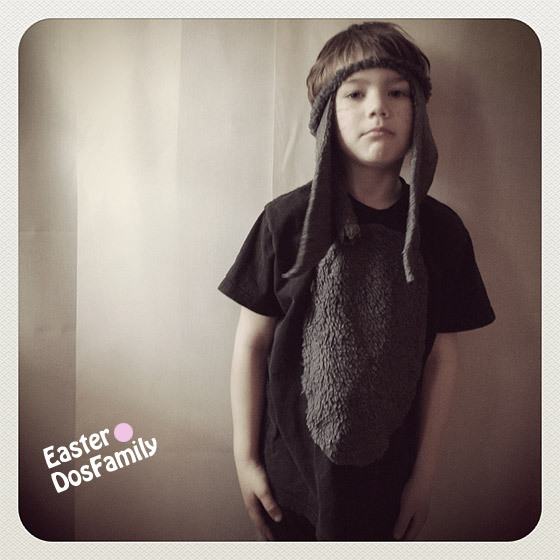 I met Malte, who attended his School´s easter celebrations dressed as a bunny. Needle and thread and scissors. Tail. Fuzzy mitten stitched to a belt of fabric. Tummy Patch. Oval piece of fabric placed on the front of the t-shirt. Mittens. Made from the same fabric. But Malte thought they wear uncomfortable.